121 Creative Hilton is more than just another agency. We are the creative resource working with you to identify your audience, form a relevant message, and communicate with your audience to solve problems and deliver results. We are not designers, although we design meaningful communications. We don’t create art, although we deliver creative solutions. We are not arrogant, although we strive to be bold. 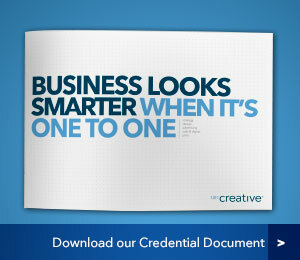 121 Creative Hilton will work hard to know you and your marketplace. By getting to know what you want to say, by researching thoroughly, we develop communications designed to engage your audience, reinforce your brand and deliver your message. We understand this is not about us; it is about you and your customers. creative solutions. We are not arrogant, although we strive to be bold. brand and deliver your message. We understand this is not about us; it is about you and your customers. My Desktop image: Can't see it! Best Holiday: End of year 12! team in our Hilton Studio. A Marketing Agency with the lot! the limelight of your target market. cards, we know how to develop the results you are looking for. we’ll build a potent brand for your business that can’t be missed. the viewers trust in your message. It’s not easy to do. websites that get your business, service or product thriving online. Let the Adelaide Studio show you how we can crack the whip, developing a website for your business that’s truly worth having. [short_content_121] => We are 121 Hilton, a multi-disciplinary creative agency with a unique set up that promises to deliver a quality and cost effective service to our clients.